This repair brings back memories of more than 35 years ago. Those were the days. I used to work at Fluke Netherland as a trainee. 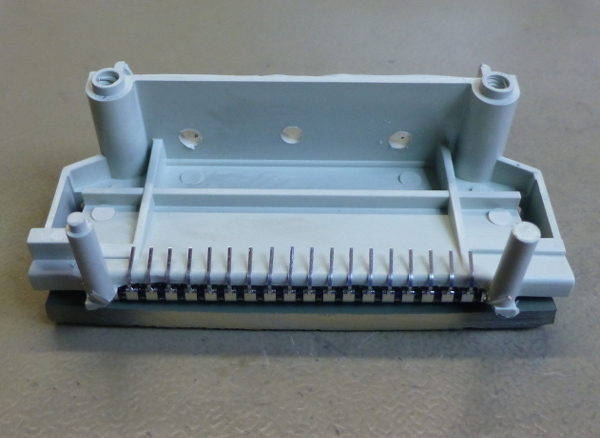 At first I had to build test fixtures for various PCB tests. Later I started working in the production repair department, fixing DMM which didn't work or didn't pass the calibration tests after production. It is from that time that I have two model 8020A DMMs lying around, doing nothing. The displays of these DMMs died long ago, like most of the first generation LCD displays did. Apparently the LCD production process still was in its infancy. Most likely the seal between the two glass plates was leaking, allowing the liquid crystal fluid to drain away. Later displays were much better. I also have a 1980 model 8024A, which works just fine up until today. Wouldn't it be nice to get the two 8020A's working again? To quote our global EE mentor Dave Jones of the EEVBlog: "You can't have too many multimeters". Sadly the original display for the 8020A has long since been obsolete and is hard to come by if it is possible to get them all. But not to worry, there are alternatives. These alternatives require some modification skills, but it is certainly possible to give these wonderful meters a second life with transplanted display. If you own a 8020A with a broken display and should you be able to obtain an original display for an affordable price, go for it. Even if it is a display which was taken from an old DMM. If it has survived until now, it will probably last another 35 years. 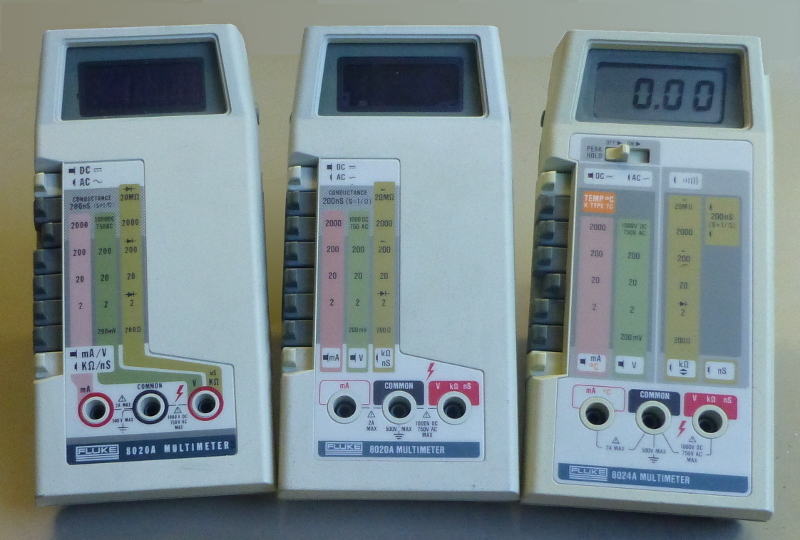 The displays for the models 8020A, 8020B, 8022A, 8010A and 8012A are all the same. Their original Fluke part number is 4583100. 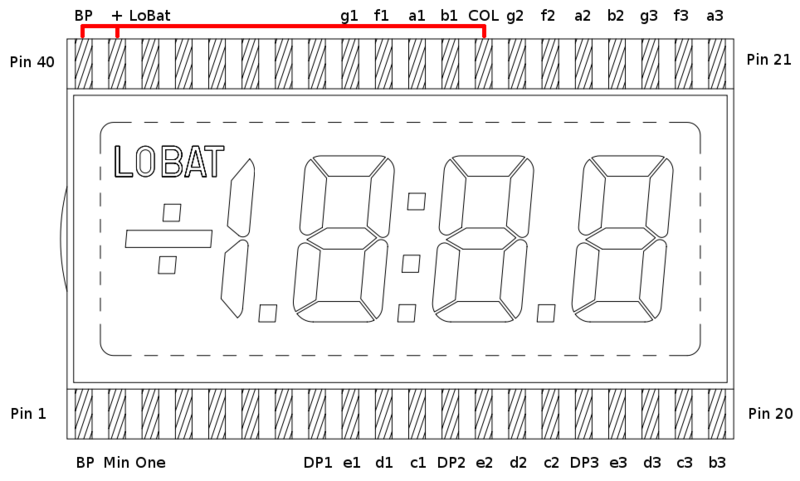 The display for the 8024A, with part number 504324, is a little different but can also be used in the above mentioned models. The only differences are the up and down arrows around the - sign, which are not used by the 8020A. Fortunately the technique around non-multiplexed LCD displays hasn't changed since its introduction. All you need is a display which has the same physical dimensions and a standard -1.8.8.8 layout. There are plenty of those around. Sadly, none of them with the connections directly to the glass, like the original one. So we'll have to go for a model with pins. Then we can solder some wires from these pins directly to the PCB. I've chosen the VI302-DPRC made by Varitronix (never heard of them). It can be obtained from Farnell as part number 1183159. I'm sure the same or a similar display can also be obtained from RS-Online, Digikey, or wherever you get your parts from. As long as the outer dimensions are the same and it is a 3.5 digit -1.8.8.8 layout display your good to go. Although this display has the same outer dimensions, the digits are slightly bigger than the original digits, making them easier to read. 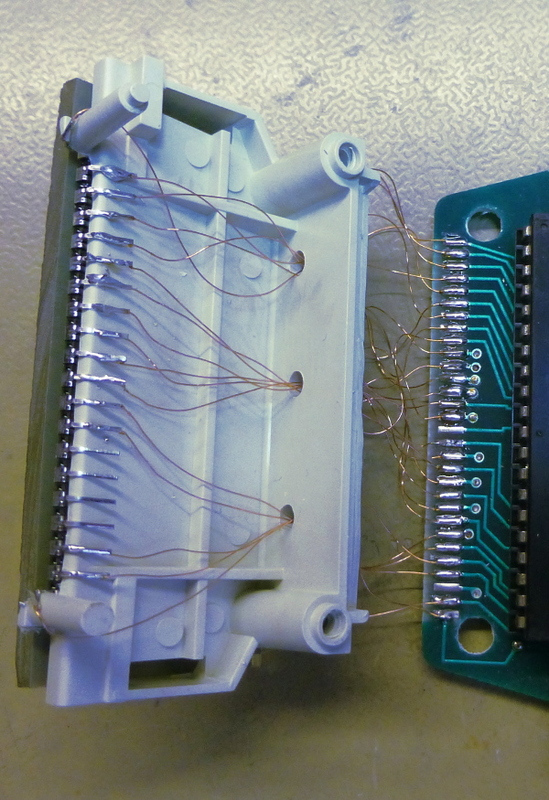 Here's a picture showing the functions of all the pins. Some of the pins are not connected. Please note that the display has 2 Back Plane connections (pins 1 and 40). Pin 40 can be directly connected to the pins 39 (+) and pin 28 (Colon), as these two symbols are not used by the 8020A. Connecting them to the Back Plane ensures that they receive the same phase, rendering them constantly invisible. Pin 1 can then be used to connect the Back Plane to the 8020A PCB. 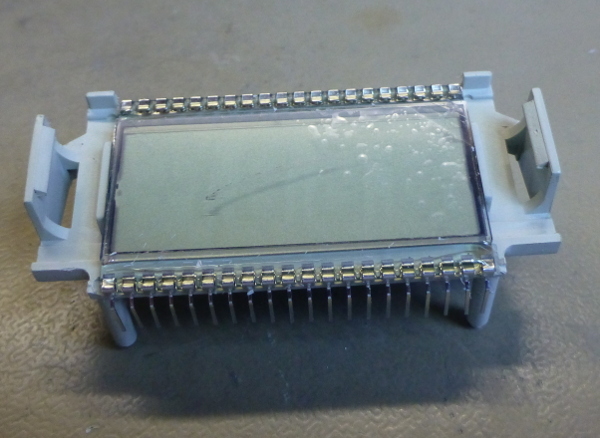 The idea is to connect the corresponding pins from the LCD to the PCB. Don't worry, there are only 28 wires to connect. The BP on pin 1 is to be connected to the BP pad on the PCB. And don't forget to tie pins 28, 39 and 40 together in order to disable the + and colon symbols. Don't be surprised if the LCD shows random segments every now and then while you are handling the display. This is simply due to static electricity building up between the two plates. It doesn't do any harm to the display though, just as long as you don't over do it. 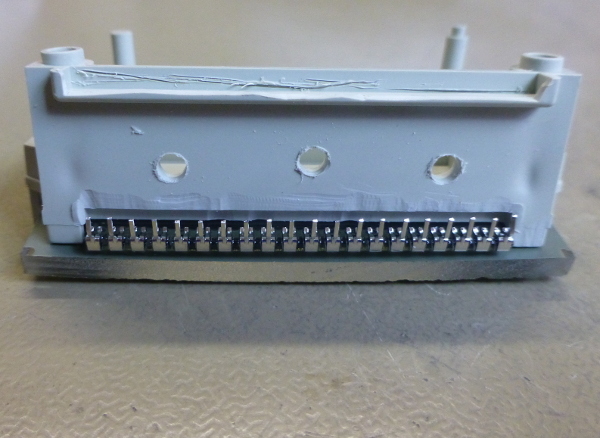 DC voltages can harm your display, causing the segments to burn in when a DC voltage is applied for hours on end. And once it's burned in the segment will always be visible, and never go off again. These ghost segments will certainly show up when you remove the plastic cover sheet from the display. The new LCD has pins, which won't go well together with the current shape of the display bracket. Therefore we'll have to grind away some of the plastic. This can easily been done with a Dremel tool and a sharp hobby knife. The pictures below show you what has to go. Pay much attention to the two front studs. Leave enough plastic around them to prevent them from breaking off, we'll still need them. 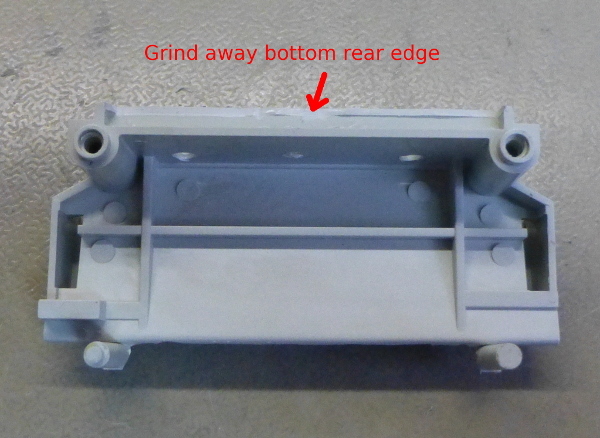 I have also drilled 3 holes in the back of the bracket, to allow the wires from pins 1 to 20 to come through. Use a sharp knife to cut away the last pieces carefully. A Dremel tool is nice for the course work, but it can eat into the plastic with the blink of an eye, ruining your precious work in an instant. 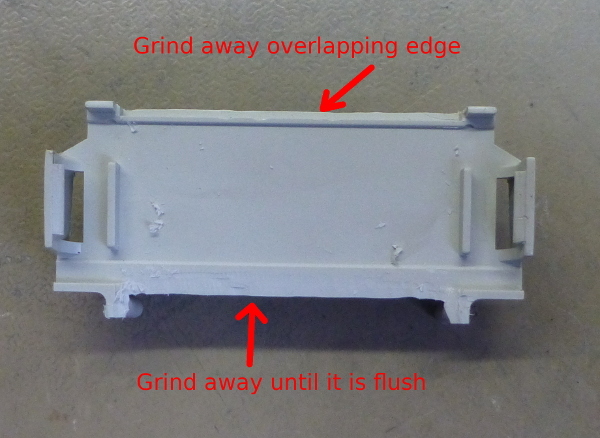 You'll also have to grind away some of the plastic at the bottom, to allow the wires from the PCB to come out of the back. 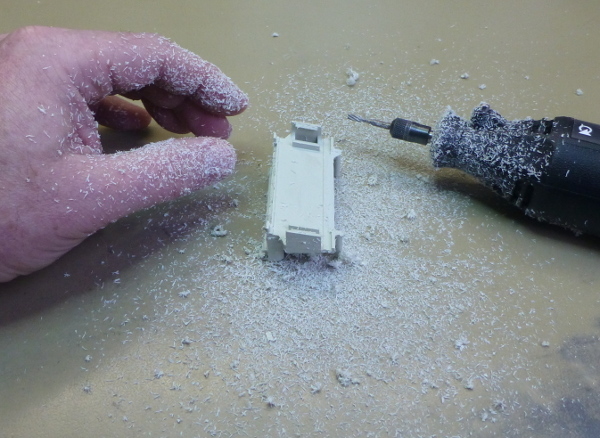 Make sure you get rid of all the dust when you're done with the grinding. Because this plastic dust is so statically charged, it will constantly stick to the lens of your display, making it very difficult to keep it clean while you put everything back together again. Don't forget to peel off the protective sheet from the LCD! I'm sure you won't forget it, because the manufacturer has put a black stroke on it with a permanent marker to remind you. The orientation of the lens is important. The painted side should face towards the LCD, while the narrow horizontal painted part should be at the top. Make sure the LCD is alligned properly, and isn't hiding halfway under the painted parts of the lens. Be careful when applying the lens, the LCD is made of rather thin sheets of fragile glass. Use a screw driver to pry open the clips a bit, to make it all snap together a little easier. Also make sure that no dust gets trapped between the LCD and the lens. I always hate it when that happens. The display can't shift horizontally on the bracket, but there's plenty of room to shift it vertically. The pins 1 and 20 of the LCD will have to fight for space with the two front studs. Bend these pins a bit around the studs carefully, that way they won't be able short out with the adjacent pins. Now bend all the remaining pins 2 until 19 backwards, under the bracket. Otherwise they will collide with the capacitors on the PCB. The pins 21 to 40 can be cut in half. 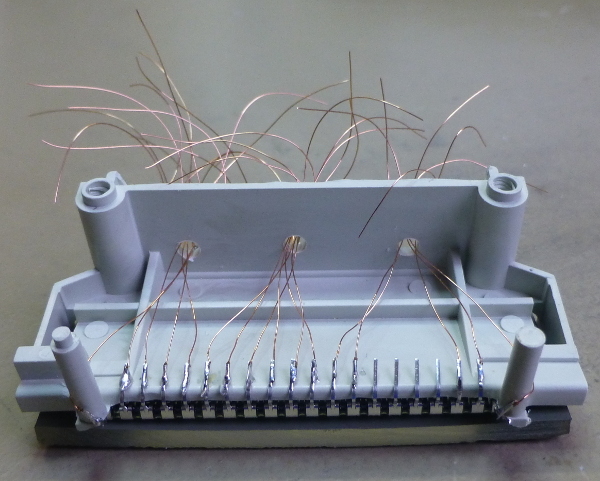 They will still be long enough to bond the wires to them, while shorter pins reduce the risk of shorting out between neigbouring pins. Now it's time to connect all the wires to the pins. 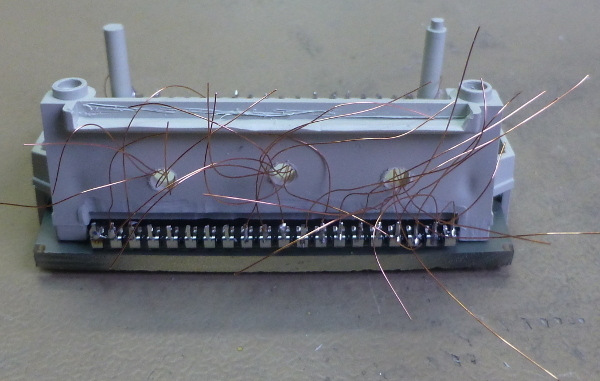 Use very thin wires, otherwise you won't be able to put them all back in to the housing of the meter. At first I've used standard 0.2mm² wire, but that proved to be much too thick. Now I have used my beloved Roadrunner wire again. It's very thin and relatively easy to work with. First connect the wires to the LCD, making sure they are all long enough for easy access later on. Connect pins 28, 39 and 40 together first. And you can skip pins 4, 5, 6, 7, 8, 33, 34, 35, 36 and 37, as they are not connected internally. After connecting the wires to the LCD you can put the bracket approximately 1 cm away from the edge of the PCB and start connecting the wires to the PCB, one by one. With a little patience this is relatively easy to do. Pay particular attention to the two pins on the PCB which are skipped. And once you start noticing a pattern to the way the wires have to be connected, this pattern is broken by some of the pins to be crossed over (I'm talking about the c and d segments for instance). After a few hours work both DMM's are as good as they were 35 years ago. The DC calibration of one of them was just 1 count off the mark, the other one was spot on. AC calibration required a bit more tinkering, but is perfect again. B.T.W. 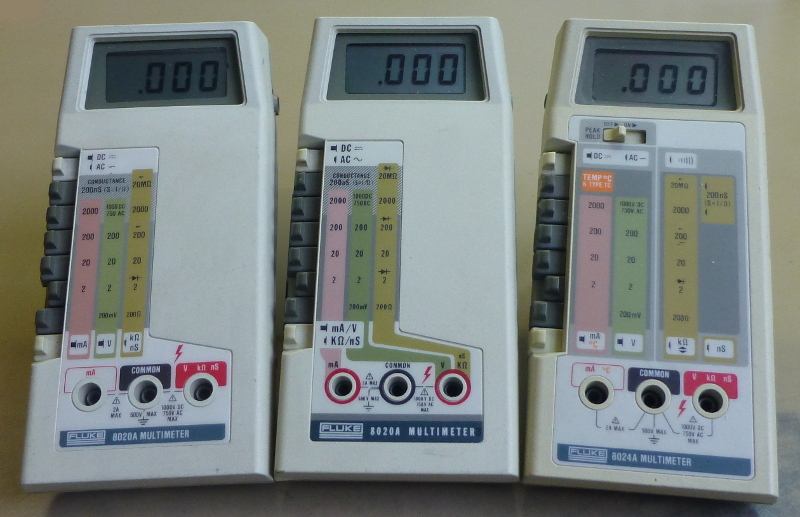 you don't really need a calibrated voltage source in order to calibrate these meters. Any stable voltage will do, as long as you have a known good DMM to compare it to. Make sure the voltage is close to a full range, e.g. somewhere around 1.9V or 19V, to reduce the reading error. AC calibration is done at 50Hz or 60Hz at first, and when that is set correctly repeat the same with a 5kHz signal to adjust the HF trimmer.